It may not come as a surprise that the top fast food restaurant franchise is McDonald's since it has not only been around longer than most, but has a penchant for expansion that does not recognize international borders and currently has 30,000 restaurants in 100 countries. In essence, McDonald's has led the way for other fast food franchises around the world. While McDonald's has retained the number one spot year after year, other fast food franchises either slip by one or two places or increase in the rankings based on innovations that closely follow whatever trends McDonald's sets in place. 25% down payment – Finance the remainder over a 7 year period. 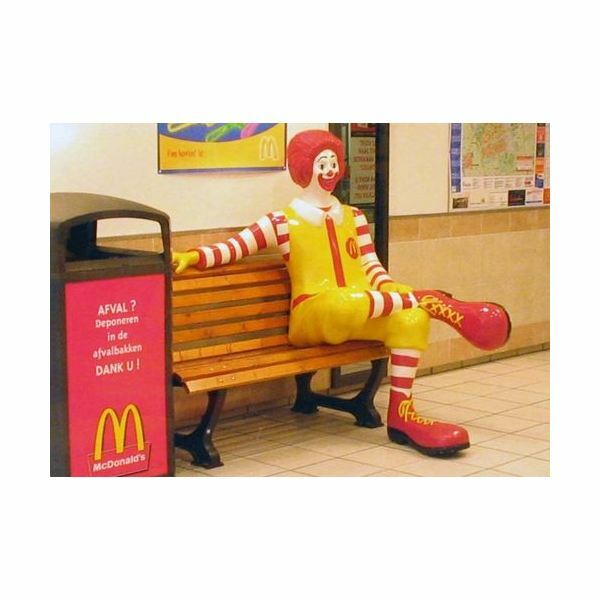 McDonald's demands owners handle the day-to-day operation on all their restaurants. Many restaurants are owned by the same person in various areas because priority for new purchases is given to existing owners. Taco Bell is one of those successful restaurant franchises that is run with military precision and has the best track record among fast food restaurants for least likely to fail. Taco Bell is just one of the many restaurants under the Yum! Brands, Inc., a corporation that includes famous Kentucky Fried Chicken (KFC), Pizza Hut, A&W fast food restaurants and others. Besides providing a nice break from the traditional burger and fries fare, Taco Bell's less than a dollar item menu provides a place for a large demographic group highly sought after by retailers: Teenagers. Cost: between $1,200,00 to almost $2,000,000 with an initial liquid cash investment of $360,000. Must commit to open three more franchise stores within a three year period. Taco Bell can be found in small locations alongside Pizza Hut Express and embedded in gas stations on popular routes where they are the only familiar name in the area. It should not come as a surprise that KFC and Pizza Hut also make the top 10 list of fast food restaurants on a yearly basis. Sonic has great shakes and smoothies, and even though their menu prices are on par with other outlets, owning this franchise is going to cost a cool $1 million in liquid cash and owners must be qualified and committed to open 2 additional outlets. In other words, having the financial backing to open just one restaurant will not qualify potential investors to purchase a Sonic franchise. While it is a very expensive commitment, Sonic sales have remained strong and stockholders have not felt the pinch of current economic times. A great concept to eating healthier fare and a welcome reprieve from the usual hamburger and fries has made Subway a number one franchise to own. It is relatively inexpensive to purchase a Subway franchise when compared to McDonald's or one of the other options listed above. The initial complete investment can be $78,000 and this includes the cost of operations for the first 3 months and required training. 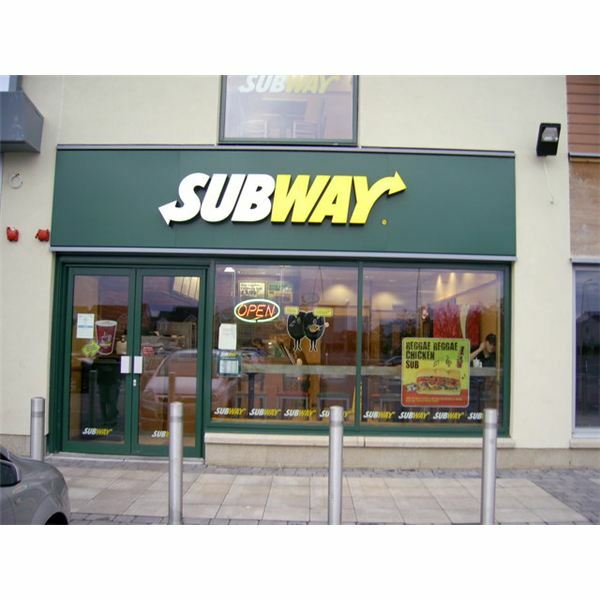 Subway has teamed up with banking institutions to make owning a franchise a reality with lower interest rates and flexible terms. Wendy's menu offers side dishes of hot chili and baked potatos not found at other fast food franchises. The company's history is heart-warming and even though the founder passed away, the commitment to doing "social good" continues in earnest. Owning a Wendy's franchise requires a net worth of $1,000,000 of combined assets with a minimum of $500,000 in liquid assets. Franchises can only be purchased in the United States and Canada. Burger King franchises are available world-wide but the cost of a franchise in the United States requires a minimum net worth of $1.5 million and at present time, they are only offering franchises to people who already own several of their restaurants. Even those who are in that category must be pre-qualified to acquire a minimum of five restaurants with a commitment to develop additional ones. Basically, if you are already a KING with unlimited capital, you may qualify to own another Burger King. Fresh lettuce on hot burgers, dripping condiments and bold marketing have kept Carl's Jr. on the list of the top 10 fast food franchises. and gaining speed towards the top. Carl's Jr. is the only a fast food restaurant that boasts a six-dollar hamburger as a badge of honor and is clever enough to compare itself to outlets like Chili's instead of McDonald's and its dollar menu. Owning a Carl's Jr. will require a commitment to develop 3 additional locations. A net worth of a $1,000,000 and liquid assets of $300,000. Carl's Jr currently touts Hawaii and Texas as "hot" locations for franchise ownership. *Personal observations: As someone who lived and worked in Hawaii for over 20 years with experience in commercial property management, I find the Hawaii location as a "hot market" interesting since Hawaii is renowned for low-cost ethnic plate lunches favored by the majority of the population. Locals don't favor the typical American diet, which leads me to conclude that the "hot" locations must be near or in the middle of well-known tourist traps. If that is the case, I am inclined to surmise that the net worth required to set up shop may be a low estimate since those locations have an insanely large square footage price and are hard to come by. With relatives in Texas, I can testify that franchise burgers are not the first place they think of when craving a "real burger." "Chick-fil-A pays for the land, the construction and the equipment. It then rents everything to the franchisee for 15% of the restaurant's sales plus 50% of the pretax profit remaining. Operators, who are discouraged from running more than a few restaurants, take home $100,000 a year on average from a single outlet. A solo Bojangles' franchisee can expect to earn $330,000 (Ebitda) on sales of $1.7 million." The requirements for ownership in the United States are legal and the financial cost of owning a franchise is relatively low when compared to other fast food options.